Did the company observe rules when hiring a senior road safety official? Email discussions in late 2012 between Google and Ron Medford, described as former Transportation Secretary Ray LaHood’s right-hand man, are emblematic of the close coordination between the two sides and raise a series of ethical questions. Three weeks later on October 21, 2012, Medford joined Google’s Urmson for a private dinner at Bangkok Joe’s Thai Restaurant in Washington, DC. The emails don’t reveal the contents of that discussion, but on October 23, 2012, Medford again emailed Thrun requesting a few more minutes for a discussion. 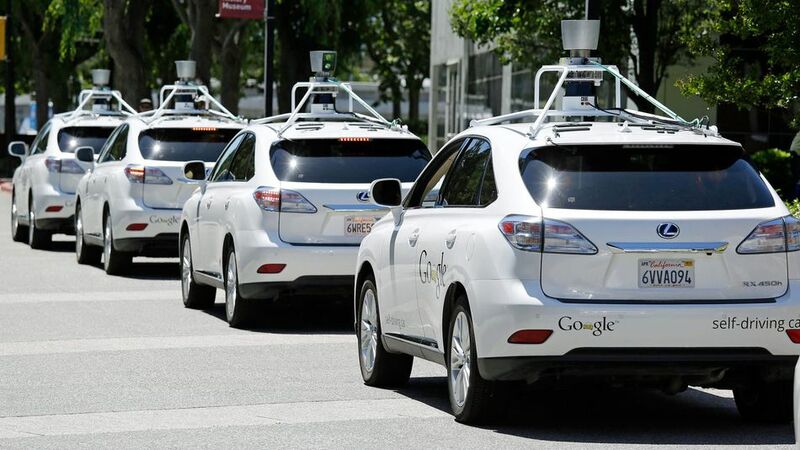 Within a month, news sources were reporting that Medford was leaving NHTSA to join Google as the safety director of the company’s self-driving car initiative. Federal employees must recuse themselves from any decision-making involving the financial interests of a company with which they are seeking employment. It is unclear when Medford notified the department of his intention to work at Google, or if he recused himself from any discussions that affected the company. One week before his departure — and after his new job had already been announced — an agency official reminded Google executives to drop Medford from future email to his NHTSA email address to avoid possible ethical problems. Notwithstanding that warning, Medford continued to email Google executives from his government account in his final days in the post. Federal officials leaving government are subject to a series of restrictions on lobbying their former agency colleagues under U.S. law and government ethics rules. "The purpose of the law is to promote public confidence in the fairness of Government proceedings by preventing an employee from 'switching of sides' in their representation of matters they were involved with during Federal service," the Department of Transportation states in its advice to employees. Yet, in September 2013, eight months after taking the Google job, Medford arranged a meeting at Google's headquarters with his successor at NHTSA, David Friedman. The emails don't specify what was discussed at that side-meeting. However, Medford's job as director of safety for self-driving cars, combined with the fact that Friedman was in the Googleplex specifically to talk about developments in the sector, raise questions about whether he properly complied with those rules. Medford also attended a meeting with disability advocates at the White House alongside Google lobbyist George Ivanov in March 2016. The following day, Google's Urmson testified on the Hill about how autonomous vehicles could help people with disabilities, one of the reasons Google has advanced for choosing L4 autonomy. "In 2013, we decided that to fully realize the safety promise of this technology and service the most people -- even those without a license -- our technology needed to be capable of doing all the driving, without human intervention necessary," Urmson said. "NHTSA defines this as 'fully autonomous vehicles,' or 'Level 4' on a NHTSA scale for automation established in 2013." NHTSA safety administrator John Maddox left NHTSA in 2012 and now serves as the CEO of the Google-funded American Center for Mobility, a 335-acre autonomous vehicle test facility in Michigan. NHTSA administrator David Strickland left the Agency in December of 2013 and joined Google’s outside lobbying firm, Venable LLP, a month later. In April of 2016, Strickland was announced as the new legal counsel and spokesperson for the Self-Driving Coalition for Safer Streets, a new Google-led lobbying group with the express purpose of lobbying for self-driving cars. NHTSA government affairs director Chan Lieu who communicated regularly with Google officials – even giving Google lobbyists a heads-up about elected officials interested in riding in its self-driving cars – left NHTSA in March of 2014 to join Venable LLP’s Washington DC law practice. In January of 2015, Lieu registered to lobby for Google on autonomous vehicle issues according to lobby disclosure records. NHTSA safety administrator Danny Smith retired from NHTSA in July 2015 and is now a Google consultant, according to news sources. DOT assistant secretary Beth Osborne: In 2014, Osborne joined Transportation for America (T4A), an alliance of elected, business and civic leaders advocating for local investment in transportation infrastructure. On June 1, 2016, T4A announced a new partnership with Sidewalk Labs, a smart cities initiative founded by Google. Google Transparency Project is a research initiative of Campaign for Accountability, a 501(c)(3) non-profit, nonpartisan watchdog organization that uses research, litigation and aggressive communications to expose how decisions made behind the doors of corporate boardrooms and government offices impact Americans’ lives.